Phyllis Ann Hobson Maynard, age 77 of Pikeville, Kentucky passed away Thursday, October 4, 2018 at the Pikeville Nursing and Rehab Center. 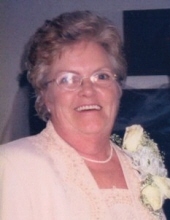 She was a retired title clerk for M&M Toyota and Deskins Motors. She was a member of the Main Street Church of Christ. She was born in Pikeville, Kentucky on September 13, 1941 the daughter of the late Morgan Henry and Texie Howard Hobson. Along with her husband, she was preceded in death by her husband, Frank Maynard and also by her brother, Archie Hobson and nephew, Derrick Mullins. She is survived by her sister, Janet Matney of Pikeville, Ky. and her sister-in-law, Betty Hobson of Pikeville, Ky.
She is also survived by Nieces, Ellena Mullins, Jennifer Huynh, Ellena Mullins, Jennifer Huynh, Sandra Branham, Letitia Ousley and Judith Ann Matney and Nephew, Jason Hobson. Great-Nieces and Great-Nephews, Misty Justice, Brandon Hobson, Kimberly Ann Chapman and Jared Huynh and Great-Great-Nieces and Great-Great-Nephews, Zack, Kate, Macy Sarah, Cade and Caldwell. To send flowers or a remembrance gift to the family of Phyllis Ann Hobson Maynard, please visit our Tribute Store. With Josh Allen and Keith Blackburn officiating. Serving as Pallbearers will be Brandon Hobson, Ernest Branham, Earl Reed Justice, Jared Huynh, Lee Chapman, Cade Chapman, Cliff Ousley and Neil Coleman. "Email Address" would like to share the life celebration of Phyllis Ann Hobson Maynard. Click on the "link" to go to share a favorite memory or leave a condolence message for the family.